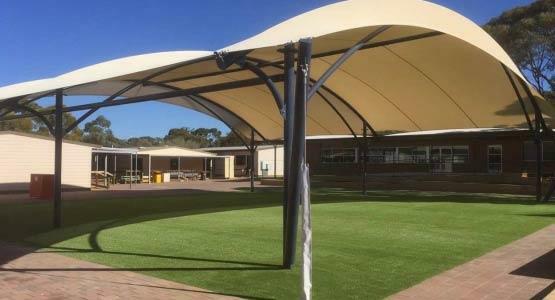 A classical conical shape with four corner columns and internal balanced support frame below the tensioned membrane. 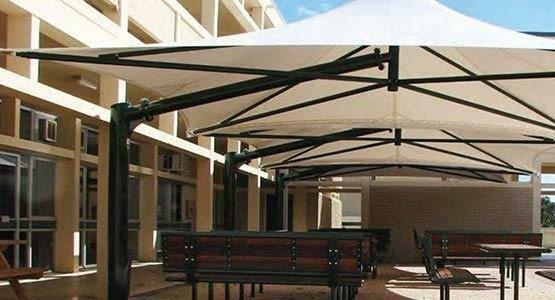 The Tetra is engineered to stand the test of time and is an economical, yet durable option for outdoor weatherproof protection. 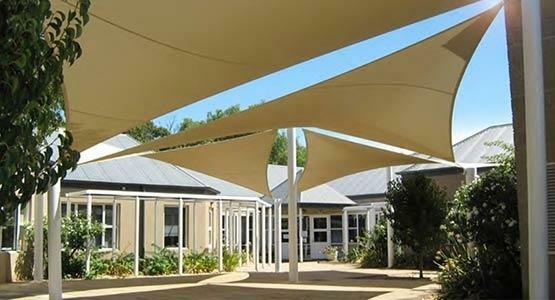 Many structures using our Tedlar PVC/Polyester membrane have been weathering the elements for over 20 years. 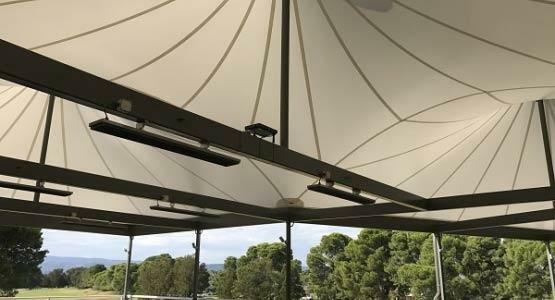 The Tetra is available with curved or square perimeter edges and can be linked to form a large continuous tension membrane structure. 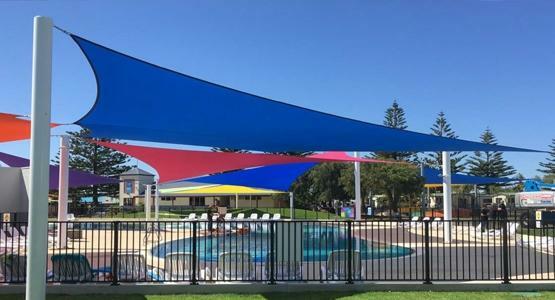 Both Curved and MC modules can be custom designed to meet specific height and plan requirements. 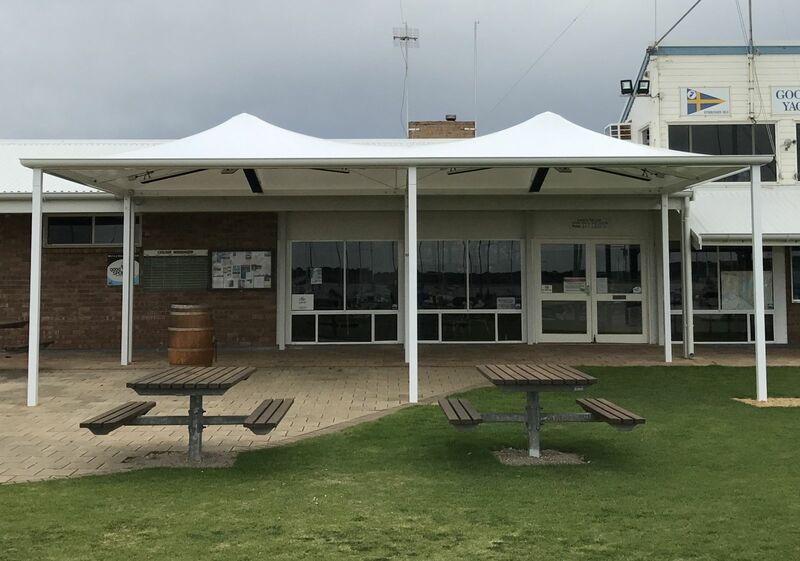 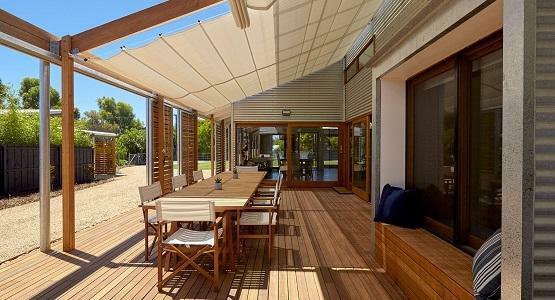 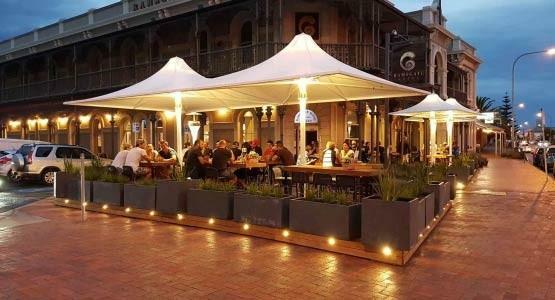 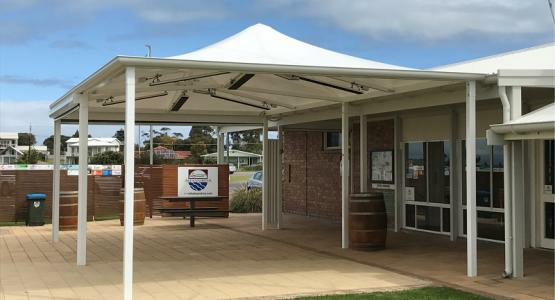 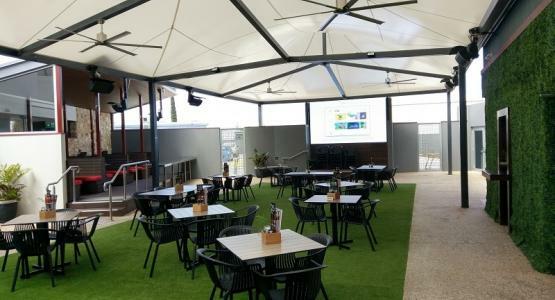 Ideal for cafes and restaurants the addition of external blinds to the optional beam edge enables the space beneath to be fully enclosed for year round use. 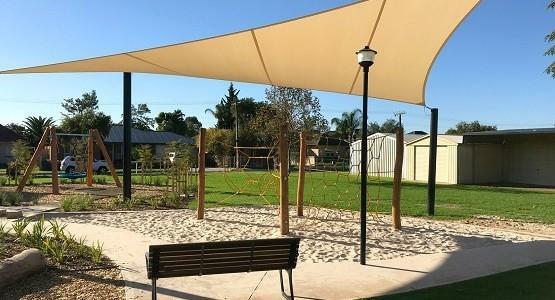 The structure is designed to the same exacting engineering standards as all Flexshade models and will withstand 160km/hr (100mph) winds.